The plant is epiphytic or lithophytic, forming large masses on trees or rocks. Its range is from the extreme south-east of New South Wales to at least the Burdekin River in Queensland. It grows from sea-level to altitudes of around 1000 metres, but is confined mainly to the coastal areas, although it has been found up to 250 kilometres inland. The inland plants have smaller, tougher leaves than those of the coastal areas, due no doubt to the harsher conditions under which they exist. It is not confined to a specific host but is found on quite a large variety of trees. The rhizomes are prostrate and branching with thick, tough ovate leaves, 3 to 4 cm long having distinctive longitudinal furrows on top. 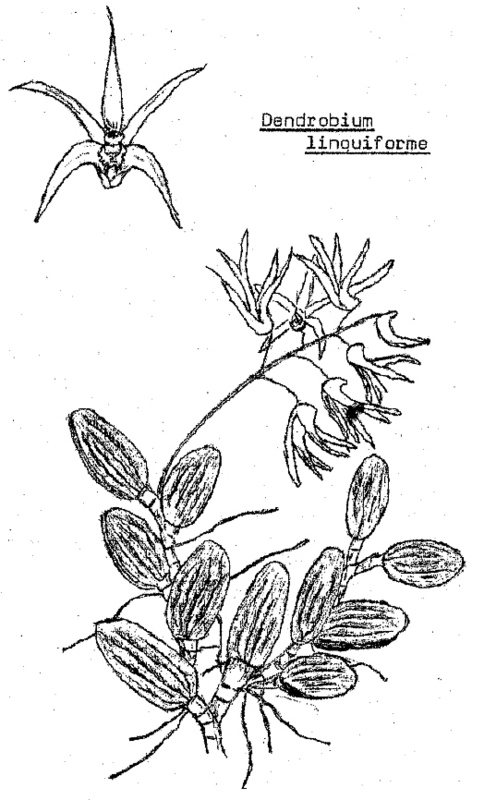 The racemes, up to 15 cm long, grow from just below the base of the leaf and bears from six to 20 flowers. 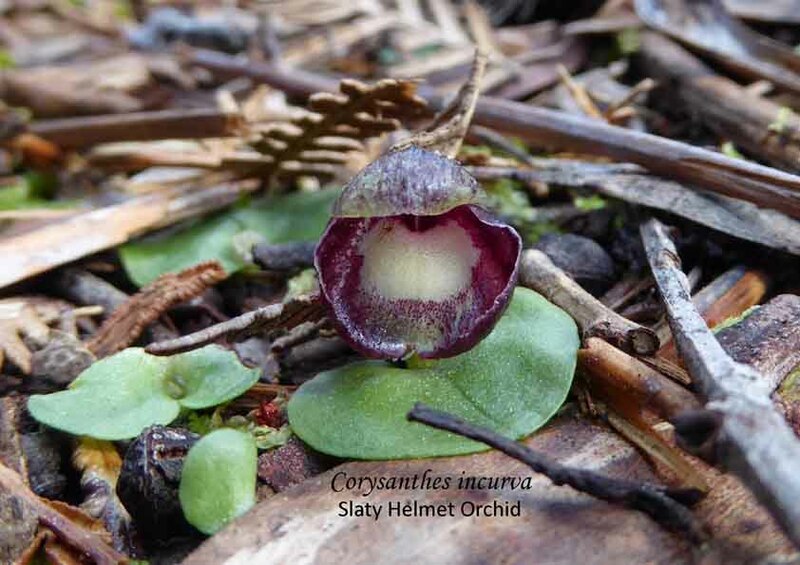 The flowers are usually white or cream with a number of faint purple markings on the labellum. The flowering time is usually August-September here but earlier in the tropical areas. It does not lend itself to pot culture but is very hardy and with a little care will grow freely on cork or hardwood slabs. I have had good success using pieces of Melaleuca on which it readily establishes itself. It receives approximately 75% shade. It should be protected from our frosts and can be fertilised using foliar fertilisers at half the recommended strength. This is the variety of the species on which the genus Dendrobium was founded. It was first described by O. Swartz. There are three varieties of this species, the best known of which is var. nugentii, which is a tropical form from about the Burdekin River north to Bloomfield River in the south-east of Cape York Peninsula. This form has broader, thicker leaves which are more rounded at the apex and in addition to the longitudinal furrows it often has transverse furrows. The flowers of this form are slightly smaller and age quicker. 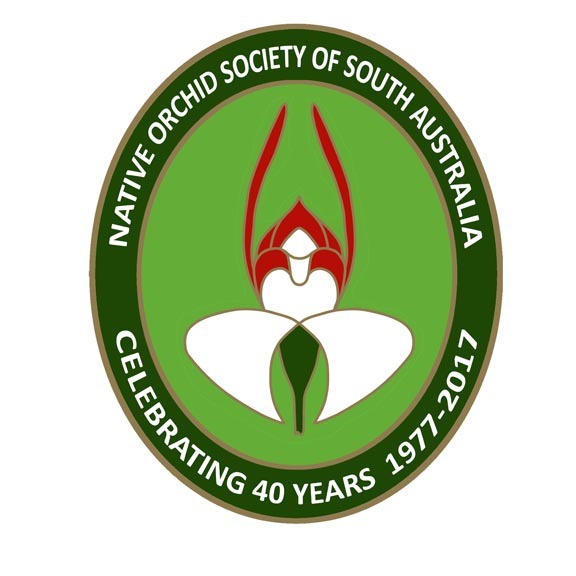 This entry was posted in Growing Epiphytes/Lithophytes and tagged Adelaide, Australian orchids, Dendrobium, Dendrobium linguiforme, epiphytes, Growing Ephiphytes, Native Orchids, orchids, South Australia, Tongue Orchid. Bookmark the permalink.